It is fascinating to read the pages written by a soldier in the field during the American Civil War (1861-1865), what were the hardships the had to endure. There are many of such diaries to survive over 150 years. However, you don’t always hear of dairies from those on the home front, those women and their children and older citizens – what was their life like during the Civil War. 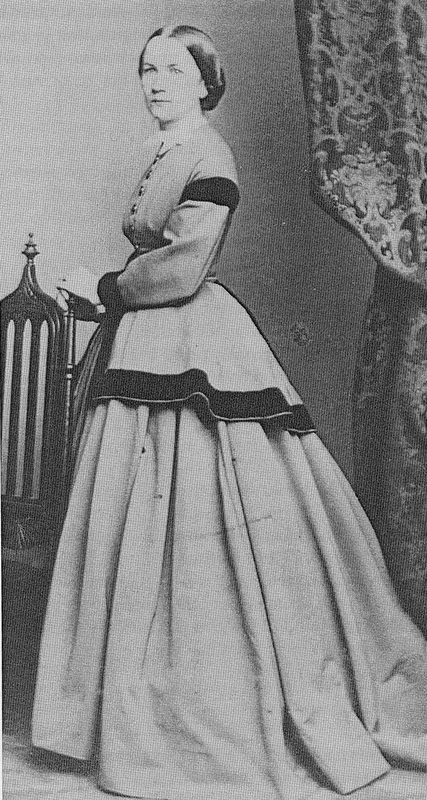 Back in 1928, Alice Maury Parmelee donated to the Library of Congress her mother’s diary, written by Elizabeth ‘Betty’ Herndon Maury between June 1861 to February 1863. What a treasure chest of information. The Library of Congress years later scanned the diary pages and placed on microfilm. 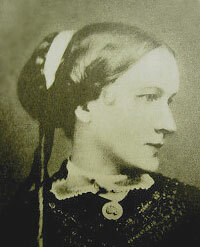 Betty was born in 1835. The Maury family had been living in Washington, D.C with the outbreak of the war. They were Confederate supporters. Betty’s husband, William A. Maury was a lawyer and her father was a naval officer. By writing in a diary she hoped her children would have a better understanding of these times. The family went to live in Fredericksburg, VA. And here Betty continued the diary. She had one daughter then, Nannie Belle, who was born in 1858. 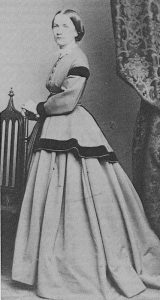 Betty wrote detailed comments on the progress of the American Civil War, especially in the local area; contributions by women to the Confederate war effort; and the hardships suffered by Confederate soldiers. Betty’s husband, William Maury joined the Confederate government in Richmond where he served as the Judge Advocate General of the Confederate States. He had his wife and daughter sent to live with a relative in Fredericksburg, Virginia. The diary tells of Betty’s concern of where to move to when the relative she was living with in Fredericksburg died in 1862 … where to go. The last entry was on February 18, 1863 when Betty was pregnant with her second child, who would be born May 1863, a daughter named Alice, the same child who eventually donated the two-volume diary. Neither Nannie or Alice had any children, so the donation to the library was the best placement of it. The beginning diary page was June 3, 1861. Using the Library of Congress’ online site you can read each page. You can enlarge each page to read it better. The last page is #119. A couple of additional pages follow that were added by the Library of Congress. The Library of Congress also has a write-up on the Maury family members which helps in knowing who Betty is referring to in the diary. Betty Maury died in 1903. You can also read the transcription done by ‘The House on Caroline Street’ in the Fredericksburg Journal Magazine. Photos: Betty Maury and Fredericksburg in 1862 and close-up of Betty.